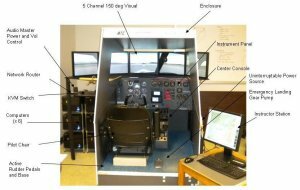 Conversion of ATC-810 to modern digital Flight Simulation Training Unit. GPS is having a major influence on navigation procedures and requires training tools. GPS can be added to the MAP-810. 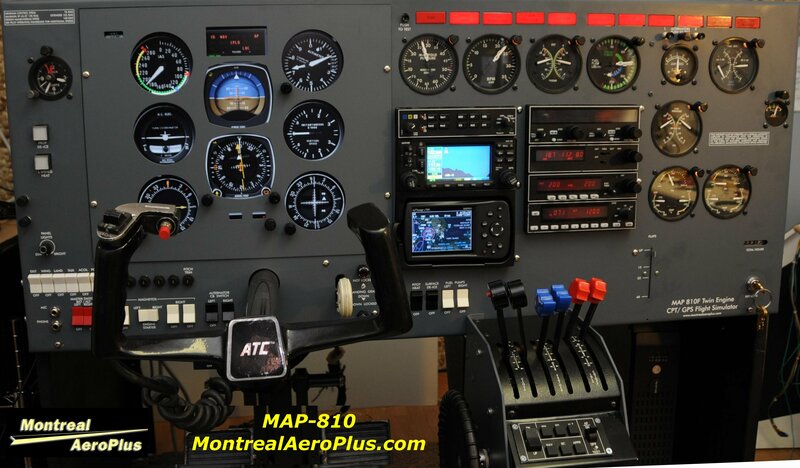 The first MAP-810 included a Garmin GNS 430 coupled with the autopilot and GPS 296 with terrain warnings. 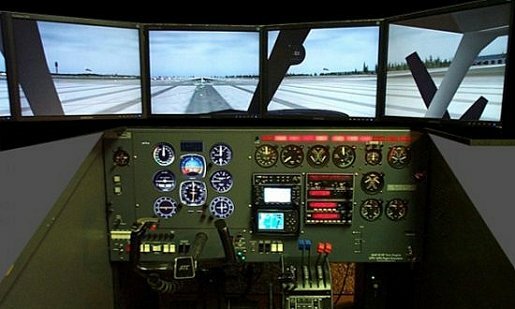 This is an incredible IFR/VFR Flight Training Device (FTD) with 5 Visual Channels, and full GPS capabilities. 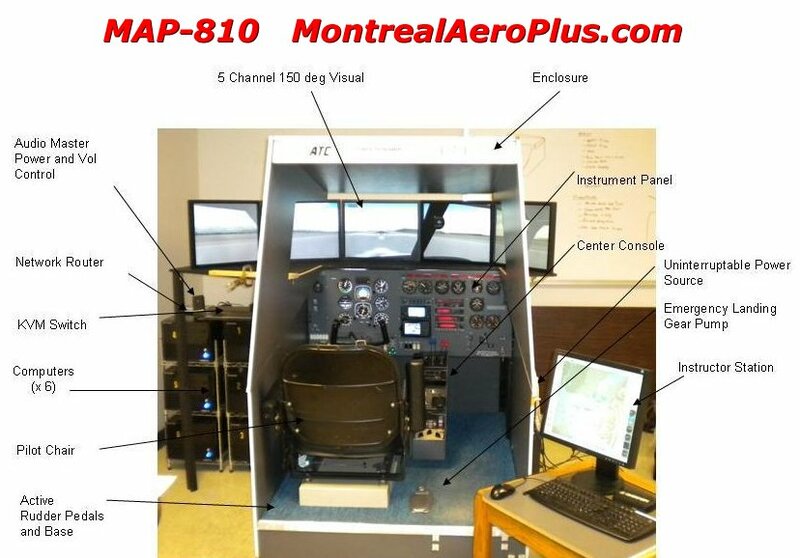 MAP-810 digital upgrade of ATC-810 with 5 channel Visual and Instructor station. 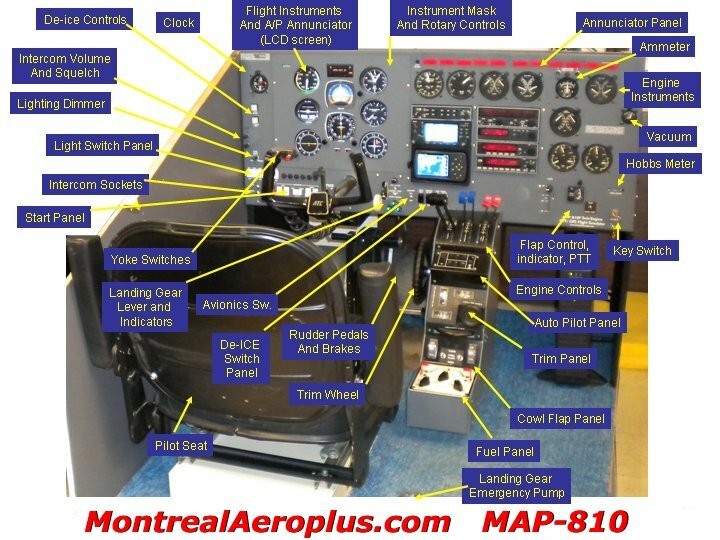 The MAP-810 is designed as a Single Pilot VFR/ IFR Procedure Trainer that replicates the Piper Navajo cockpit configuration. The Flight simulation model uses X-Plane with a Piper Navajo (PA-31) aircraft model that has been verified to match the Navajo performance charts and tuned based on comments from Navajo line pilots. - Replica or Real Navajo landing gear handle including back drive. - Integrated Garmin GPS series Housing and Cable (Houses Customer or MAP supplied GPS 296/396/ 496 devices). - Customizable to required customer features to match training needs. Commercial licenses included when used for commercial training. The MAP-810 is a conversion of a customer provided ATC-810 unit. The MAP-810 re-uses the original ATC-810 high quality Navajo style Flight controls, Instrument panel base, enclosure and many other parts including the annunicators, throttle assemblies and fuel control panel. Newly designed and manufactured mechanical and electronics components are added to create the MAP-810. The MAP-810 includes a new instrument panel that can be configured to a customers requirements. 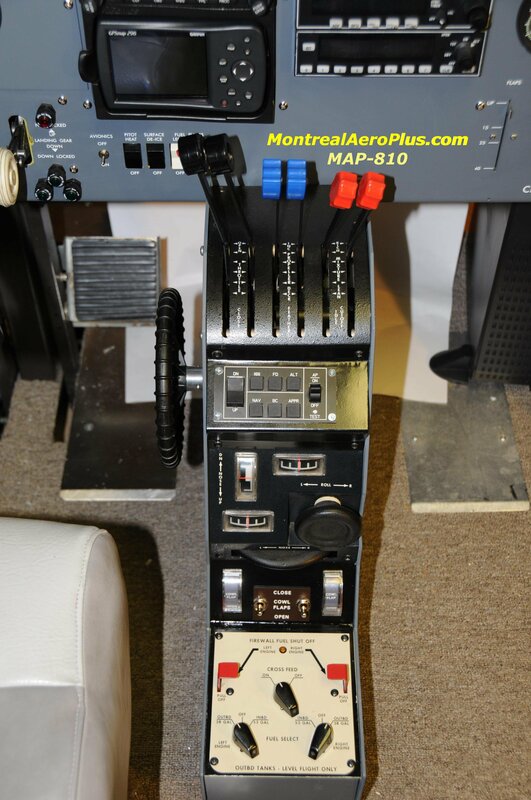 The existing ATC-810 Engine Instruments were re-used and coupled to modern interface electronics that interface with X-Plane. 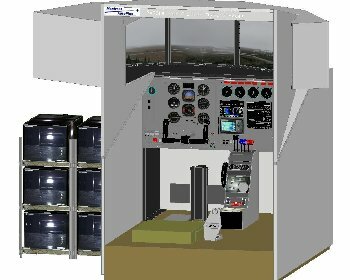 X-Plane runs on multiple Computers and is a physics based simulation engine that can accurately replicate the performance of most aircraft. 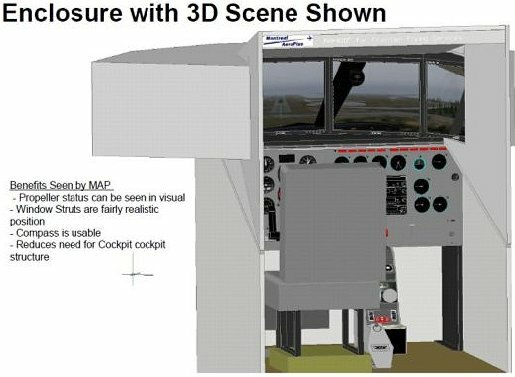 The Visual scene generator provides highly realistic terrain and weather models that enables realistic scan patterns and work load in the training device that assure skills learnt in the trainer are transferred to the aircraft with limited/no negative training. 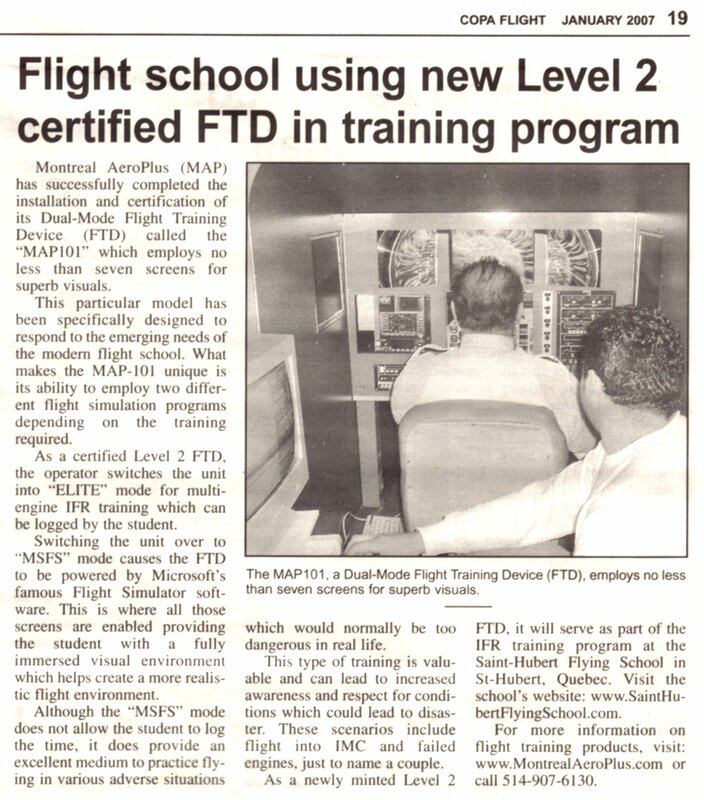 The MAP-810 has been designed from the beginning to meet the Transport Canada certification requirements for Level II FTDs and also Level A trainings devices. The visual scenes support highly realistic circling approaches to landing in IFR weather conditions as well as realistic weather for straight in approaches in IMC or VMC. The MAP-810 design also includes options for including Navajo Autopilot panel, Cowl Flap panel and landing gear controls to more accurately replicate the typical aircraft configuration in commercial air operations. The first MAP-810 designated the "MAP-810F" was delivered to ERA Airways in Alaska in March of 2010. 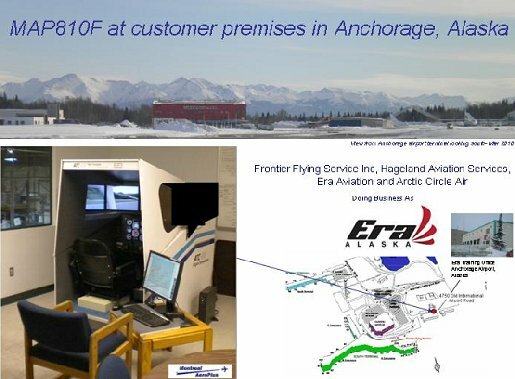 We delivered the first MAP-810 to ERA Airlines in Anchorage Alaska. The device was designed to meet the customers specifications and included a real Garmin 430 device to enable training of GPS approaches in the rugged environment of Alaska where the customers Navajo fleet is used to deliver cargo and passenger. The MAP-810 flight model was verified against the Navajo flight manual performance charts. Line pilots at Era were used to validate and to provide comments that were used to tune the Piper Navajo performance to more accurately reflect the actual Navajo flight characteristics. These adjustments have been incorporated into our baseline Navajo Model.